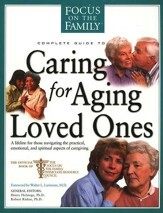 Caring for an aging family member may be one of the most challenging jobs you are ever going to do. Most of us are not prepared for the long hours in the emergency room, sleepless nights and round the clock care an aging parent requires. 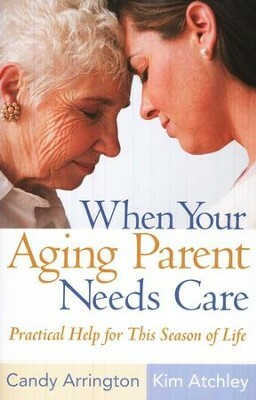 In When Your Aging Parent Needs Care authors Candy Arrington and Kim Atchley offer support, encouragement and tips to those facing these challenges. Caregivers will find the hope and guidance needed to face the day to day demands and comfort in knowing others understand and care. Paperback. 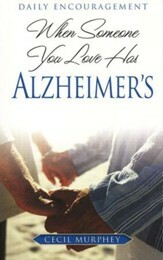 What begins as a way to honor those they love becomes, for many, a confusing and stressful time. This resource of hope provides caregivers with the support and direction they need to be spiritually, physically, and emotionally prepared for what they face day by day. Candy Arrington's writing provides biblical insights and practical advice, often on tough topics. Her publishing credits include hundreds of articles in periodicals such as Focus on the Family, Today's Christian Woman, Marriage Partnership, Encounter, Pray, and The Lookout, and her stories have appeared in the Chicken Soup and Cup of Comfort series. Additionally, she is coauthor of Aftershock: Help, Hope, and Healing in the Wake of Suicide. Candy and her husband, Jim, are parents of two young adults and serve as primary caregivers for Candy's mother. Kim Atchley is a freelance writer whose articles have appeared in numerous publications including Hometown News and Prime Years for which she did a series on Hospice and on the sandwich generation. For four years she was a columnist and feature writer for the Spartanburg Herald Journal. She and husband, Ryan, have three children. 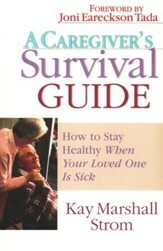 Kim was primary caregiver for both her parents during their battles with cancer. 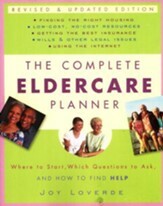 I'm the author/artist and I want to review When Your Aging Parent Needs Care: Practical Help For This Season of Life.